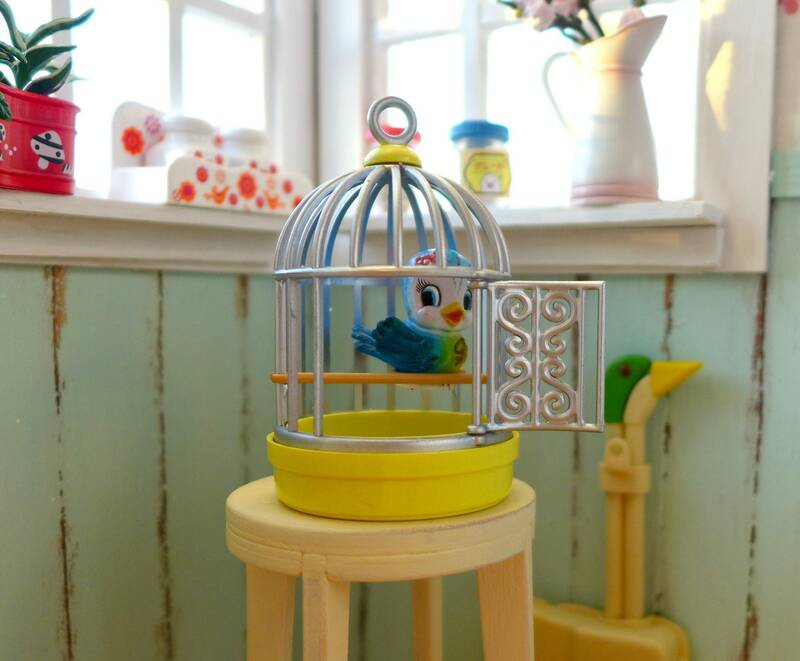 This cute birdie fits inside the bird perch perfectly & looks so adorable inside the cage. 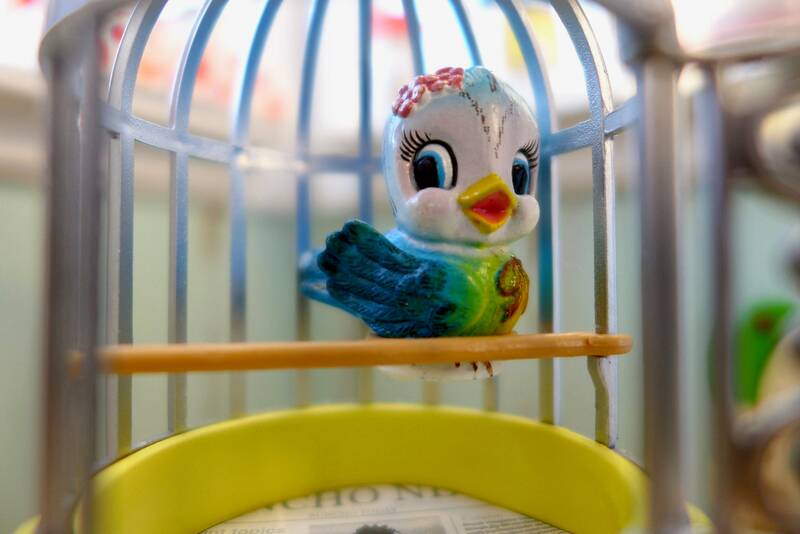 The cage is lined with a tiny newspaper reporting on latest bird news. Bird is removable along with the tiny perch. Wow, what a little tweetheart! Cutest tiny bird ever! 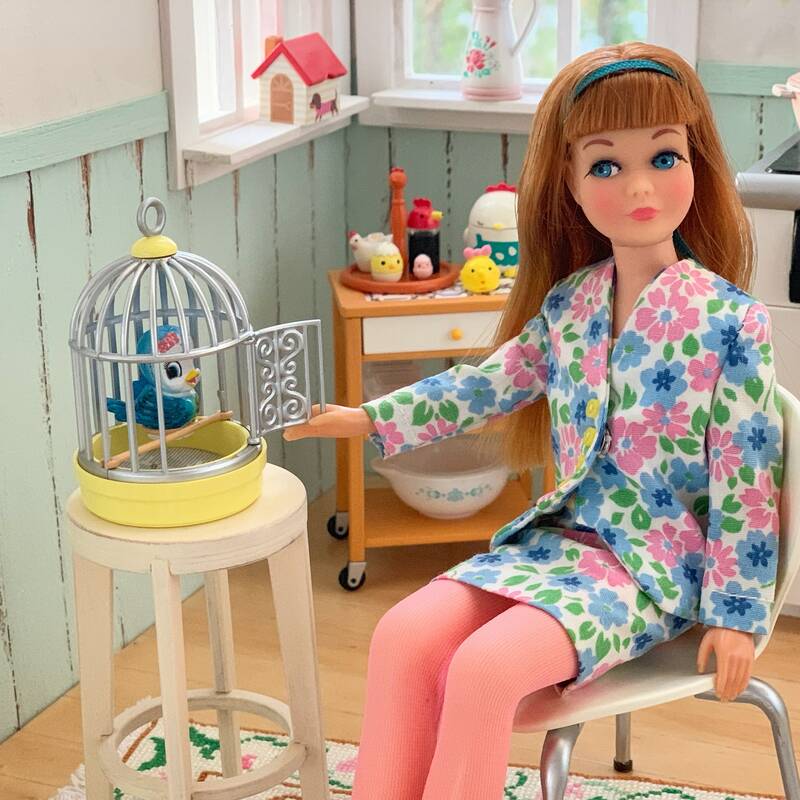 The whole cage assembly is so cleverly made! So happy with my purchase, which I received speedy quick. Loved my little gift - thanks so much! Eeep! 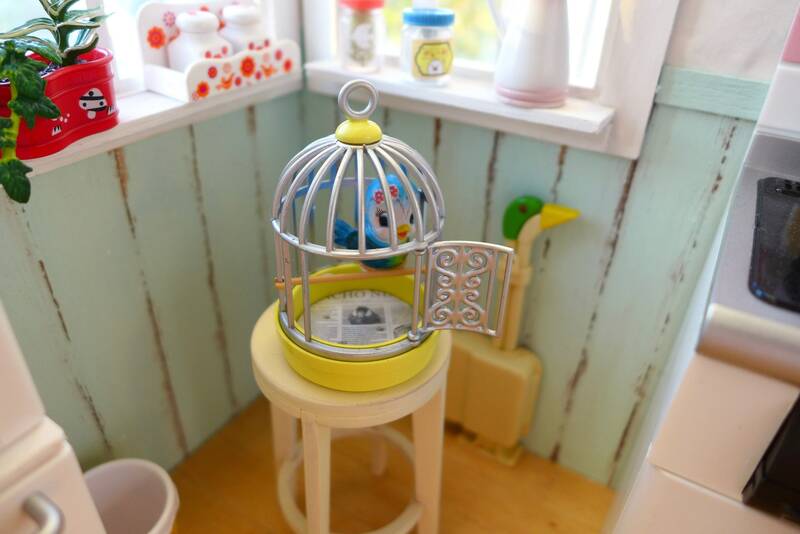 This bluebird and cage are entirely too cute! We love it! Packed pretty and with care! Wonderful, sweet seller! Thank you for the kind note and adorable gift! Very fast shipping! Highly recommend always!